Having owned three older homes in three different states (California, Florida, and Texas), I've encountered my share of clogged drains. If you have an older home and your drains run fine, you are very lucky. 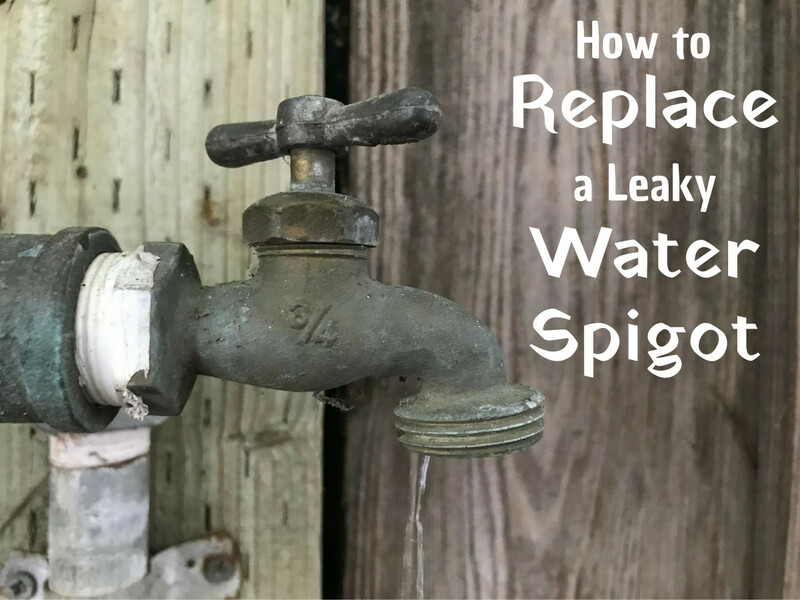 If you suffer repeated clogs and calls for the plumber, this article is for you. Every old home is different because of the materials used in the pipes, the angle of the pipes to the main line, the structure of the house, the soil, and the trees in the yard. All of these elements can work to cause you problems with clogs. Some plumbers will work with you to help you uncover the problems with your home, but lots of them do make a living out of handling your clogged drain problems and may not have the interest or knowledge to help you prevent clogs at your house. Since plumbing calls are often $80 or more just to unclog a drain, it pays to be pro-active in solving your own drain problems. Snake out the sink with a tool. 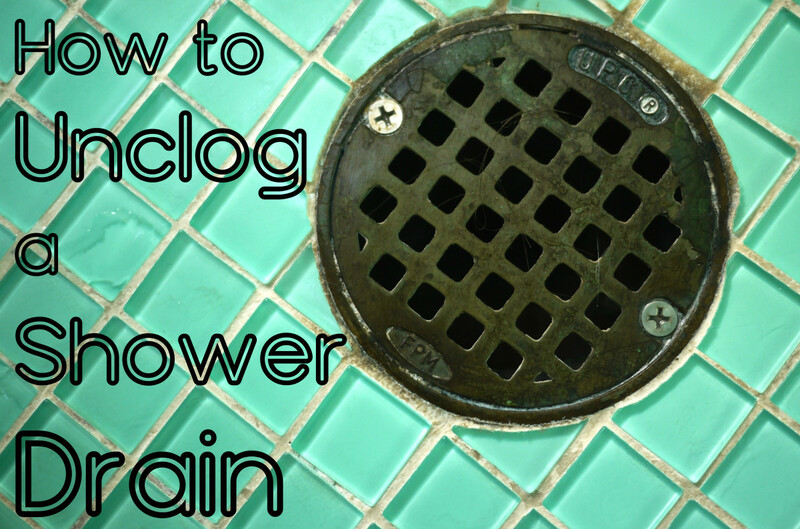 Use a plunger to try to force the clog down. Clean out the drain trap underneath the sink (if it has one). Pour in enzymes and let stand recommended amount of time, then pour in boiling hot water. I only use this method if I don't need the sink drained right away. Use a chemical cleaner like Draino. I am not a plumber, but in my experience in owning five older houses over the last 35 years, there are generally two types of clogs at my house: sink clogs and main line clogs. A sink clog is one which affects just one sink or shower. It is due to having lint, hair, soap, and other debris in the drain. Generally, a sink clog can be seen developing. The sink will start to drain more slowly and finally, will just stop draining altogether. The main line clog is more serious and can happen more suddenly. Sometimes it shows up when just one sink or shower won't drain. 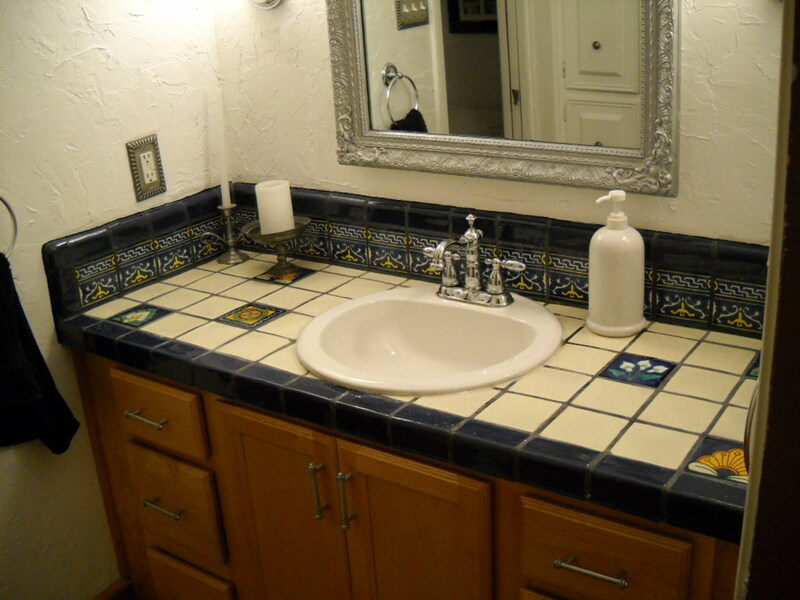 Often, however, there are multiple sinks involved, usually on the same side of the house. Basically, what has happened in this situation is that a clog has happened not just in one sink, but somewhere down the pipes under the house or between the house and the street. The best way I know of to prevent clogs from happening is to use and enzyme treatment in all my sinks and showers once a month. I've tried several different types of enzymes and they seem to work about the same, but I generally use Earth Enzymes because it is easy to get on Amazon. You can also get a good main line enzyme from Roebic which is good to use about four times a year to make sure you have clear main lines, as well. Warm Drain: Run water until it is hot. The enzymes work better in a warm environment. Prepare Enzymes: Mix up the enzyme treatment with water (if you've purchased the dry enzymes). Pour Enzymes in Drain: Pour the enzyme mix in the sink right before bed. Let it sit overnight so the enzymes can work. One benefit of using enzymes is that they can go into the toilet too. Just put the enzymes in and flush. Run Hot Water: If your drains are running slowly, you might want to do a flush the following morning with hot boiling water, or, at least, run the shower until it is as hot as possible. The hot water flush takes the gunk down the drain better. If you have a lot of build-ups, especially the first time you use the enzymes or if you have a clog, you may need to do 2-4 days of treatments to start. Use Once a Month: The important part is to use enzymes regularly, once a week at first and then every month at least. Every time I forget to use these or run out and don't get more, I end up with clogged drains. Other than remembering to do this, it is easy to do a main line enzyme treatment. You just measure out 1 cup and flush down the toilet for 4 days in a row (right before bed). The best one I've found (supported by the reviews at Amazon) is Roebic Main Line Cleaner. Use this once each season (4 times a year) to keep the enzymes active in your main drain. This has really worked great on our house. I've done it for two years now and not had a single time of having to call a plumber. 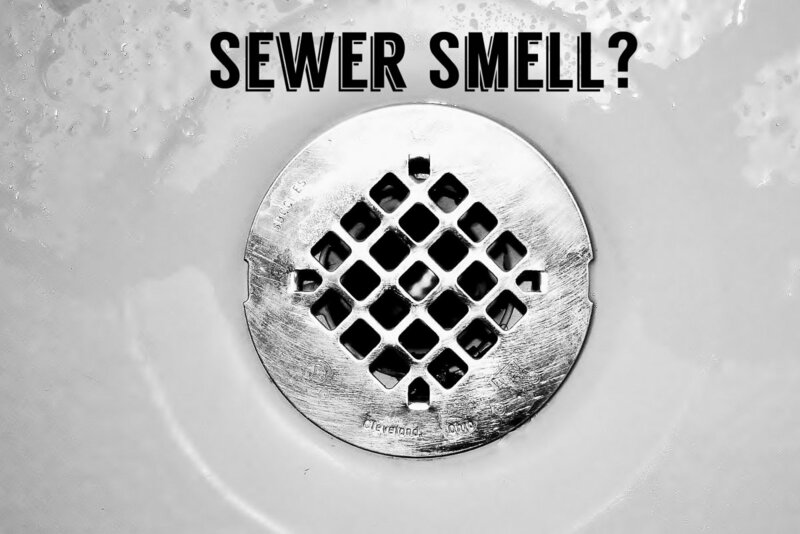 Enzyme treatments are a powdered form of bacteria that likes to eat soap, scum and other gunk that gets in your drain. When you pour the enzyme down the drain, you allow those bacteria to grow down there and feed off all the stuff you don't want to be clogging your drain. The treatment works continuously because the bacteria feed and grow. However, some things we put down the drain can kill them, which is why it is important to add new enzyme each month. Bleach kills all bacteria and so do many harsh chemicals, including any sort of chemical you put down to unclog the drain. So if you use any antibacterial chemicals down your drain, you do need to replace the enzyme treatment. Generally, I've found that if I do remember to do this once a month, I never have drain problems. 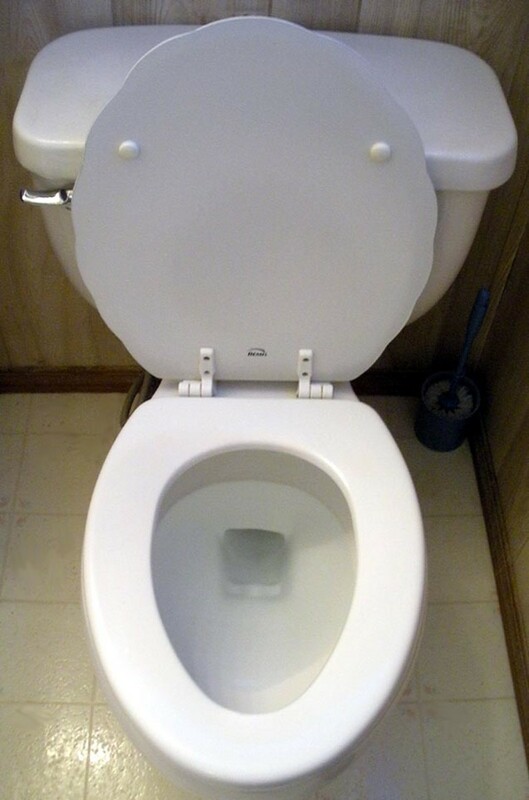 Build Up of Sludge: Just like your sinks get grunge in them, the main line can be filled with not only the soap and hair and other gunk, but also everything that comes down your toilet, including wads of toilet paper. Use the main line enzymes to help keep your pipes as clean as possible. Tree Roots: Another cause of Main line clogs are tree roots getting into your pipes. However, they can also be caused by debris from remodeling projects, especially if you are re-doing your sinks and showers. 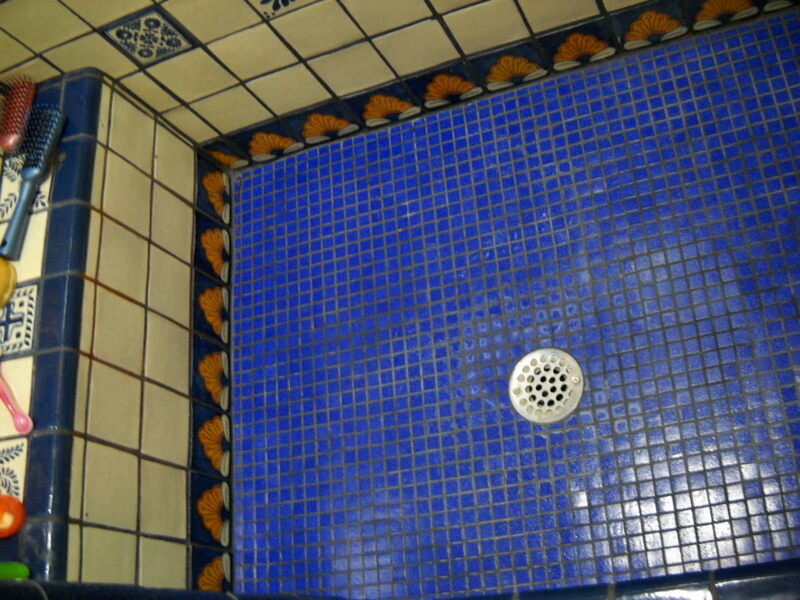 One of our worst problems came after our tile was redone in our bathrooms. Too much of the grout/bits of tile and other things got washed down the drain and created a big mess and a lot of expense to clean out. In the end, the biggest culprit was a piece of black felt backing which got caught and started backing everything else up. If you suspect some unusual piping, you can call your city and they may have someone who can research records and find out the original plans for your house. The other best resource is an older master plumber, who may not know exactly what is wrong with your house but may have encountered enough unusual situations in his career to be able to help you with your problem. While enzymes can help maintain and clear out slow main lines, they can't clear up a clog. In general, main line clogs are not something a homeowner can fix. 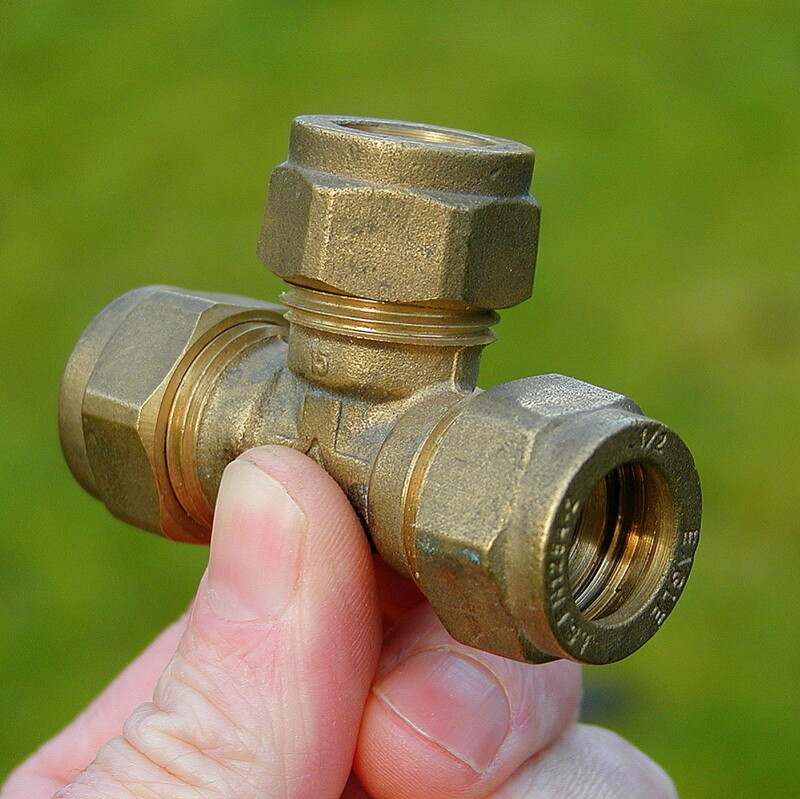 If you have water backing up in more than one drain, you probably have a main line clog and you'd better call a plumber. In general, we have found that the smaller local plumbers are much better at helping us with our older houses than the big name companies. They tend to employ more experienced plumbers and quite frequently they are much lower in price. If you can't get recommendations from neighbors or friends, you might call and find out which plumbing company has experience with older homes. Remove Trees: If your problem is roots from trees, you may need to remove some of the trees near your home that are causing the problem. After reading about tree roots and pipes, we found out that one of the worst trees for pipes is Palm Trees. We realized that we had three palm trees planted right outside one of our bathrooms, the same bathroom which had experienced repeated problems with main line clogs. Although we regretted losing the trees, we decided that we couldn't afford these continual problems, nor the damage these trees were doing to our pipes. We removed them and have had no more problems with that shower. Use Root Treatment: If you do not want to remove the trees, you can also try putting a root killer down your toilets twice a year, in the fall and spring when roots are forming. These products kill the roots that are in the pipes but do not affect the tree. Limit What you Put Down Your Kitchen Drain: Even though your garbage disposal says it can eat anything, that doesn't mean you really should be putting anything and everything down your sink. The last clog I had was actually caused by rice! I knew that putting fibrous things down my drain was bad and so I always put onions, potato peels and thinks like celery in the trash. I also never put any grease down my sink, but I'd never realized that even grains like rice can swell and then clog things up if they stick on something else in the pipes. So now I am trying to put very little down my drain other than the few leftovers in my sink. It just isn't worth it! 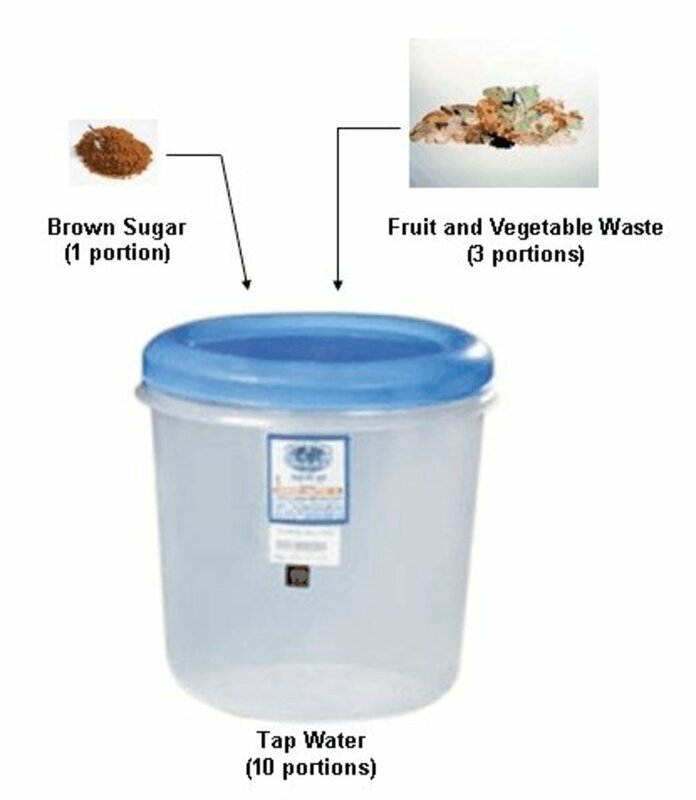 Have a small trash can near your sink and you can quickly put leftovers inside. Don't Put Hair Down the Bathroom Sink: Hair doesn't disintegrate quickly, even with enzymes, and it can quickly make a terrible tangled mess of your drain. Don't take the hair off your brush and put it down your sink or toilet. Put it in the trash, along with dental floss any and another clog catcher. For even extra protection, use a plastic hair catcher on your shower drain and install a drain trap in your bathroom sink. I've designed some DIY mesh drain shower catchers that work great. Use Enzymes Regularly: Perhaps the most effective thing you can do is to use and enzyme treatment on a regular basis. By putting these enzymes down your pipes regularly, you allow them to eat away at all the gunk that accumulates. That will keep your pipes freezer all the time. If you have trouble remembering those sorts of regular maintenance jobs like I do, then pick a particular time of the month, like the first Saturday, and put that on your calendar. Because the enzymes need time to grow in the pipes, you need to put them in at night and then not use those sinks and showers until the next morning. Do all the drains in the house at once for best effect. Install a Lint Catcher on the drain from your washing machine: See my hub on how to install a sink and mesh lint catcher in your laundry room. Older homes have lots of character, but sometimes they also require more work. Just like any other possession, our pipes work better when we take care of them. Which reminds me, I'm out of enzymes and I need to order some more now! How often do you have drain problems? We have had some sewer backups. The plumber put a camera down the line and said that the problem was there is a damaged tile under a fence line. However, it will be costly to dig up and fix. He suggested flushing the toilet twice. Now my husband thinks he has to flush the toilet twice all the time. Wouldn't it be a better cure to use the mainline cleaner four times a year and maybe get a toilet that flushes with more pressure? We already use toilet paper that is better for the pipes. Sorry to hear that you have this problem. We have not had a camera down our drains, but we are pretty sure that we had some construction debris put down the drain that tends to snag other things. No amount of "snaking" ever got anything up though. I think your plan is at least worth a try. It is not expensive to use the mainline cleaner, and if it solves the problem, that would be great. A new toilet would be more expensive, but I think you are right that one bigger flush might be enough. However, the point of flushing twice might be just to make sure everything has moved down the drain. I think you probably only need to do that when someone has a bowel movement, which would only be a few times each day. Another possibility is to put your toilet paper into a covered trash can, at least most of the time. They do that in China to prevent drain problems. It isn't common here, and you probably wouldn't want to ask visitors to do that, but you could try to see if that helps. The drain hose of my washer runs directly into the wall, so I can't put a lint catcher on it. How do I catch lint from the washer drain hose before it clogs up my pipes? 1. Use enzymes in the pipe regularly. 2. Get a front loading washer that emits less water (this is expensive, but might solve a serious problem). From what I learned, the plumbing in older homes is not really built to handle the volume of water from extra-large top loaders. Front loading machines are built to be more water efficient and might help. Do you know if the enzymes you recommend are okay for 1950's Orangeberg pipes? I have a clogged kitchen drain but the rest of the house is ok. I have tried steps 1-3 so far without success. Thanks Alix for your idea. Every situation can be different and I'm glad you've found something that works for you. I have a mobile home that is very old. I have the problem with flooding the room next to the bathroom. The people just used less water. Did not work. The pipes are level and slopping. All draining is one pipe. Cleaning the pipes did not work. Clogged up in two days. Now I use my garden hose and spray down hard the drain in the bath tub. Seems to work. Hi Shawn, I'm sorry to hear about that situation with the clog. I can't actually answer that question because it completely depends on what has been going down that drain every day. Probably, the clog did not completely stop the drain at first, so it may have been building up a long time. Using the techniques I talk about here are for preventing clogs. Although enzymes can eat through clogs, if the drain is completely stopped as badly as yours, it is probably better to call a plumber and have it snaked out to clear it. Then use enzymes monthly to prevent it happening again. Thanks again for your helpful reply. I wasn't sure if the laundry sink backing up was cause for concern and don't entirely trust the "professionals" opinion when they stand to make more money on their answer. I have put us on a schedule of enzymes so hope we can avoid future plumbing bills. I appreciate the time you take in answering all of our questions. Happy New Year! Hi dagleyol--my laundry sink almost always backs up some during the cycle. Partly, that is because the hole which drains through the sink bottom is actually not as big as the hole going into the wall. I wouldn't worry about backup unless there is a change or it drains too slowly (which was my situation recently). If you have trees, the roots could be a problem, but that is usually more common in spring, especially a dry spring, when the roots are trying to grow. I have not had my pipes scoped with a camera but I would do that if I couldn't figure out a serious problem that continued. Before I'd go for the camera, I'd have the pipes rooted out by a plumber (and/or use something like a drain cleaner to get them running well) then use the enzyme treatment 3 nights in a row putting boiling water down the pipes in the morning and then running the water for several minutes. If that works, then I would use a lint mesh on the pipe that fills into the sink. I'd also consider using a mesh filter inside the sink. Finally, I'd make sure I did the enzyme treatment monthly and/or any time the drain seemed slower. If none of that worked, then it is time for a camera. By the way, that is exactly what I've done and in 25 years, I've never had to have a camera scope the sink out. Thank you for your reply. 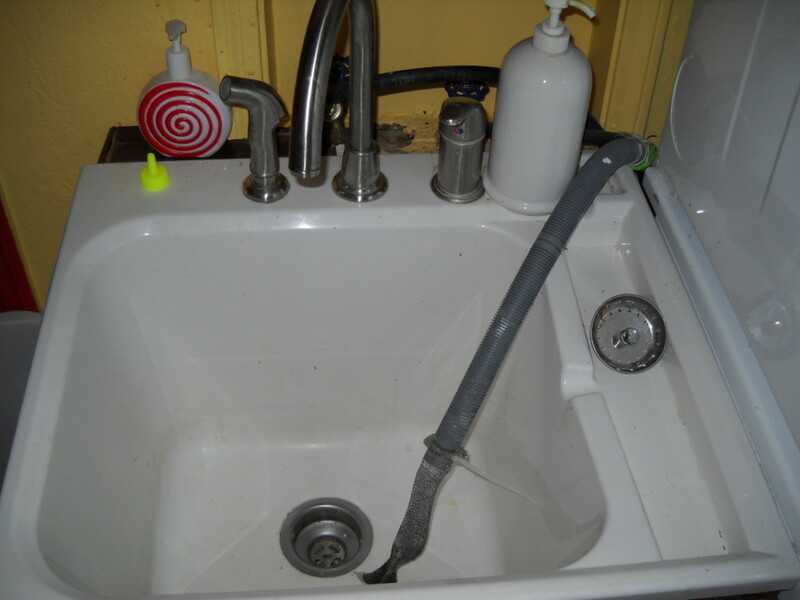 After several nights of using Main Line, Soap/Grease/Paper Roebic products, including plunging the laundry sink the issue remains that the laundry sink still backs up during the rinse cycle of the washer. I ordered the Roebic foaming root killer enzymes to try as well on the outside chance that could be the culprit in addition to built up sludge. Is it normal for the washer to back up into the laundry sink during the rinse cycle? It doesn't seem to be a lot of back up but enough that if the sink weren't there it would be an issue. Do you think there is a larger issue going on that should be scoped with a camera? Hi dgaleyol, I'm so sorry to hear about your ongoing plumbing issues. I'm actually not sure there is a big difference between the Main Line enzymes and the other types. I generally use Main Line a couple of times a year and the other enzymes monthly. However, I don't think the Main Line enzymes are a problem to use monthly. I would strongly suggest that you get the most out of whatever enzyme you use by putting it in before bed and then following it up with hot boiling water in the morning (or before you use the drain again). I actually also used a regular toilet plunger in my landry drain after my enzyme treatment when it was still running slow and that air pumping down seemed to dislodge the gunk in the pipes because it water is now running down faster than it has in quite a while. Your articles have been very helpful! We have a 61 year old mid century modern tri level that we adore except for the ongoing plumbing issues. Had the entire house re-piped 8 years ago during a bathroom remodel...except for the drain lines. We had a severe overflow last month when the dishwasher (upstairs) overflowed the in wall drain pipe in the laundry room (downstairs) and well...suffice it to say it was a mess. Had the plumber out, snaked the line through the laundry room wall drain pipe. Just a few days ago, washing machine overflowed from same drain pipe. Plumber came out again, snaked, although didn't find much. I ordered Roebic Main Line K-97 after reading your article. Used last night in the laundry room wall drain pipe, laundry room sink, upstairs shower and 2 sinks. My question is should I be using a different enzyme treatment or is the Main Line good for ongoing monthly usage. I'm willing to get on a cycle of enzyme use just want to make sure I'm using the right one. Any ideas? Thanks again so much! Hi Marcy--I am not a plumber, so I can't say about Drano hurting your pipes. However, I definitely think the enzymes would be a better choice for regular use and probably would work on the problem better because they would be continuously digesting and getting rid of the gunk. I would start with a three day program with hot water each day , then do it monthly after that. If I were you, I'd put the enzymes in all the dains at least once a month or at least when you start the treatment to make sure you are cleaning everything out. Good luck! We have a 45 year old split entry house. There has been no problem with the sinks or toilets clogging. The problem is a sewer smell. We can smell it as soon as we walk in the front door. I don’t think the drains have clogged up, because nothing has backed up. I had been putting drano in once a month, letting it set, and then running hot water in the drain. The pipes go about 150 feet to the street. I’ve heard drano can ruin the pipes. So would it be better to put some kind of enzymes in the drain once a month ???? Hi Corrine, I've not used hot water in my toilets and I'm not sure if that would cause a problem, but since real porcelain is fired to a high temperature, I don't think boiling water should crack it. However, I have never tried it. I will remember your high pouring water idea and try it. Enzymes can sometimes work all by themselves if the drain is slow, not stopped, and you have time to wait. What I do on a slow moving drain is to treat with enzymes overnight. Then pour boiling water on it in the morning and run the water for 5 minutes or so (unless that clogs up the drain). Even if there is no further clog, I generally treat again for 2 more nights just to make sure it is all clear. When I lived in Northern California, I used ZEP. I don't know if it is still available there. Generally, I buy it online because for me it is cheaper. Won’t hot water into a clogged toilet cause the porcelain to crack? I often take a very huge kettle of luke warm water and pour from as high as I can straight into the clogged toilet and it usually clears the clog. Are you saying that regular use of enzymes will help keep them clean but not useful when clogged? We’re in Northern California, what are the best brands to use here? Hi Helpless--The bacteria is the same thing as the enzymes that I mention in my article. In fact, I should go back and edit to explain that. Basically, these "enzymes" are actually dried bacteria which eat soap and scum and other things that go down your drain. I think most drains probably have them in there already, but when you add extra down your drain it works better and faster. You need to add them monthly because things you put down your drain can kill them, especially bleach (we call it "killing germs" but it kills all microorganisms, including the "good" ones we need. In fact, I try not to use bleach very often and, when I do, add enzyme/bacteria treatment right afterwards. None of the enzyme products I've purchased list what bacteria they use on them. I have used several varieties and they all seem to work. I do not know if the ones intended to be used in regular drains are the same as the ones used in septic tanks, but I know that the ones I've listed in my Amazon links work really well. Hello Virgina, I have a main drain problem where I have to pass a snake twice a year. In my basement drain sometimes the water from the floor drain comes up. I was listening to a radio station where they mentioned bacteria that can help with ceptic tanks...was wondering if it can help with my problem. What kind of good bacteria is this? Hi Mrs. Mishra, the enzyme treatment will break down the food and other things the rats might be eating, which might help to get rid of them. However, the enzymes are non-toxic to humans and other mammals, so they won't kill the rats you are dealing with. prevention of clogged pipes and drains is easier and less expensive than the treatment of clogged pipes and drains. nice hub. mention that you saw me here...on hubpages...and please like us on FB.. Thanks Dancing Water--I will have to look up the Earthworm enzyme treatment. Great idea. Thank you for a hub that is most likely relevant for all of us. I use Earthworm enzyme treatment, which doesn't harm the environment. The enzyme idea is an excellent one. Thanks again! Furniturez--you are right that Drano can sometimes work well, but it it doesn't then you are stuck with a sink full of something toxic you can't put your hands into. I usually try to see if there is any hair or guck stuck in the sink by using a snake or this wire I have that extracts stuff (has velcro on the end). Often that gets the drain going a bit, then drano or enzyme treatments work. If I do use drano, I follow it up with enzymes for 3 days in a row and then once a month afterwards to keep it clear. 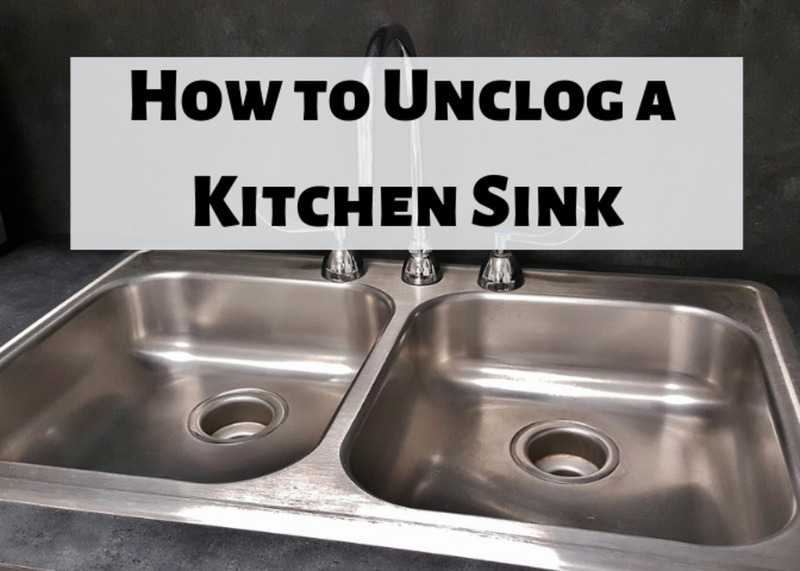 Sink clogs can be quite nasty... for the smaller ones use Drano, that's always worked for me. Thanks for sharing! Jaye--we are great tree lovers but also decided that they needed to go to save our plumbing! One alternative that I learned about is to put copper sulfate down your toilets twice a year. You can get it at Home Depot in plumbing section. It kills the roots in the pipes. Can I identify with the tree roots in the main line problem! A short time after I bought this mid-century ranch style house in 2000, the calls to the plumber began. Soon he was on speed dial! Finally, he suggested checking the entire line system using a camera. The line was full of tree roots. Don't ask me what I said about the idiot who planted a magnolia tree right in front of the house within two feet of the main water line! Naturally, the tree had to be taken down, and (naturally, since I live in Mississippi, where the Magnolia tree is the "state tree", some of my neighbors thought it was HORRIBLE for me to do so, but none of them offered to pay my plumbing bills). Glad you have found out the problem seanorjohn. Plumbing problems are so difficult to deal with. Wish I had read this informative hub a few years back. I have onl recently discovered that there is a design fault on my mains drains. The system installed in 1910 is called the Windsor trap and is the main cause of water backing up and why we have had to call out a plumber twice a year. Voted up and useful. tipstoretireearly--love your name, by the way. Glad enyzmes are working for you so far. I think the hardest thing to do is to remember to do it monthly. I just did mine last week and was thinking that I ought to put it on the calendar. Very useful hub! I recently started using enzyme treatments for my older house. So far so good. With regular care, a clogged sink drain can be avoided. However, should this situation arise, try clearing the drain with ordinary baking soda and vinegar. Use a plunger afterward to add air to the drain to clear it. This usually is the first line of defense for clogged drains. If this doesn't clear the drain, you may need one of the chemical drain cleaners available in most hardware stores. Today, drain snakes are also available for household use. These can work to clear drain up to 25 feet along pipe lengths. Preacherdon--yes, the enzyme treatments are about the only thing you can put down a toilet. Since doing this hub, I've been looking at different enzyme treatment products. None of them list what exactly is the bacteria they include--trade secrets I guess. So I'm not sure if any is better than another. What is nice about the Drano product is that you don't have to mix it. You just pour in in. Also, I think it is much more widely available and so you can pick it up with another trip to Walmart or whatever. However, I think it is probably more expensive than the granulated kind. I use both. Sometimes I just want to get something done quickly! Thanks for the tips. I didn't think about the rice. I'll have to keep that in mind. Is Drano Max Build-up Remover an enzyme and can it be used in the toilet as well? Voted up and useful. Great advice! Enzyme treatment, as an option, absolutely fascinates me. I'm also glad to hear about some preventative measures I can take, since I'm not a big fan of dealing with things once problems get out of hand! Nice hub and touched the real aspect of day to day activities. Your tip about the monthly enzyme treatment is one I had never heard. Thanks for sharing! Voted up and useful.